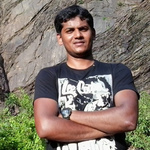 I'm Muralimohan working as web designer/developer since 5 yrs. Expertise in Web design, Logo Design, PSD to HTML, Flash websites, Flash banners and jquery. You can view...Read moreI'm Muralimohan working as web designer/developer since 5 yrs. Expertise in Web design, Logo Design, PSD to HTML, Flash websites, Flash banners and jquery.